As I said before, I love to decorate my home with quilts. I'dont think that there is something more beautiful and decorative than a quilt displayed in a room. Especially if it is an antique! This one is the only antique Amish quilt I own. It was collected in Lancaster County Pensylvannia. It is in wool and mesures 56 x 52 inches. The pattern is called Around The World. 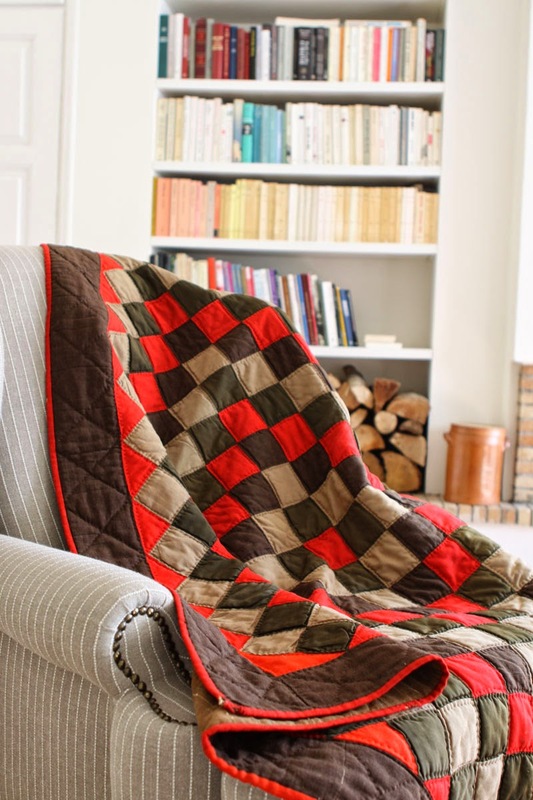 This quilt has a stunning effect, due to the beautiful red color of the squares and the binding, against brown, beige and dark green colors. I love it... 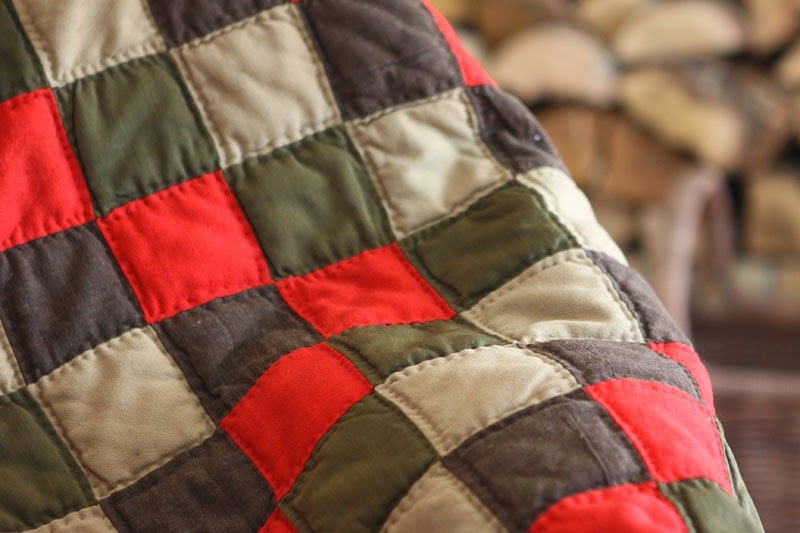 I love solid fabrics… I love printed fabrics… I love all the antique quilts!!! 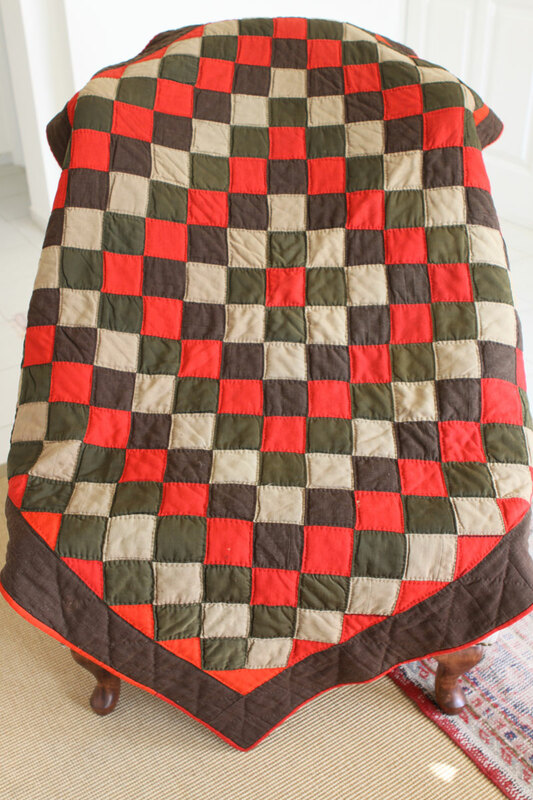 It is a fantastic quilt Christine!! You are lucky to own it! Gorgeous! Do you dare snuggle with it? Tu fais toujours de merveilleuses trouvailles, il est très beau ! Thank you Deb. I cannot answer you through a mail, you are a "noreply blogger". 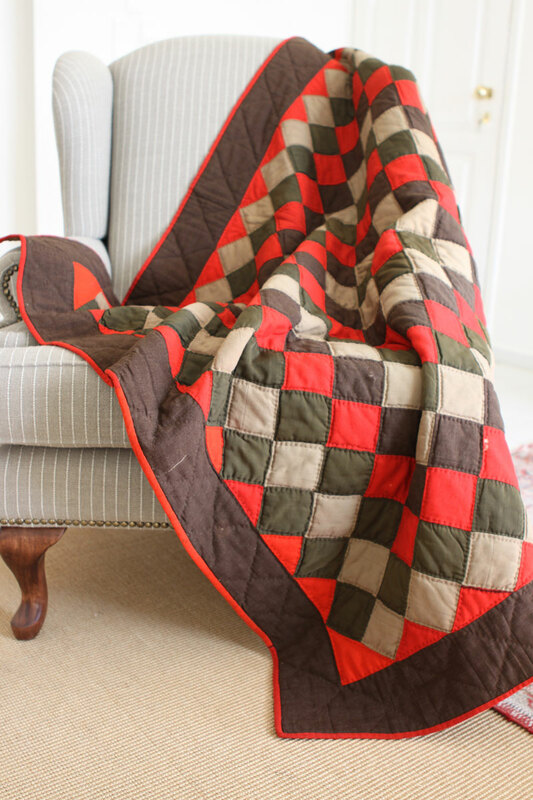 Love the quilting...love that is old....thanks for sharing at Tuesday ARchives! 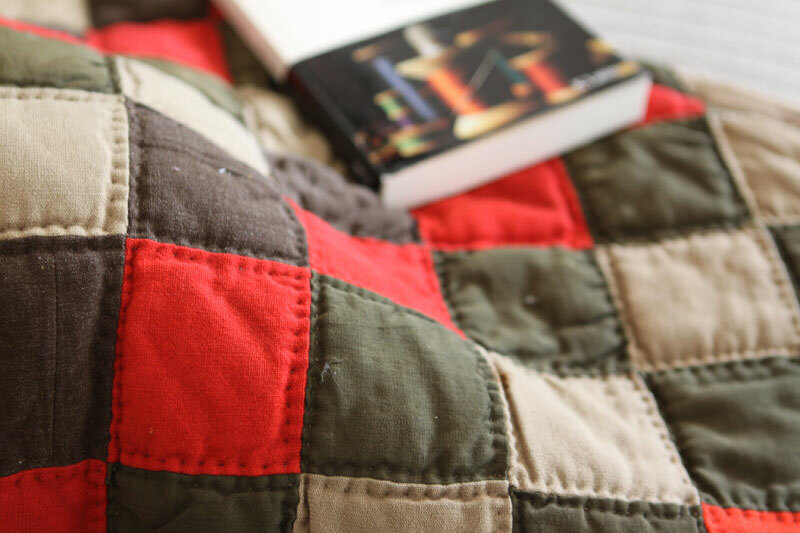 I feel so inspired by all of your quilts.